Prep the natural nail. 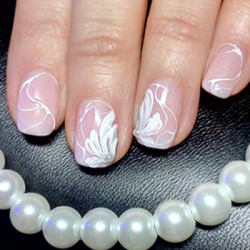 Apply a tip or nail form if an extension is desired. 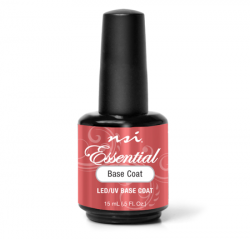 Apply Essential Base Coat as a base and cure in the Dual Cure Lamp, LED for 30 seconds or UV for 2 minutes. 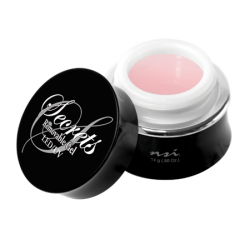 Starting in Zone 3, apply a coat of Secrets Removable Builder Blush evenly to the entire length of the nail. Cure in the Dual Cure Lamp, LED for 60 seconds or UV for 2 minutes. Build additional layers if required for building the apex for strength and cure again. 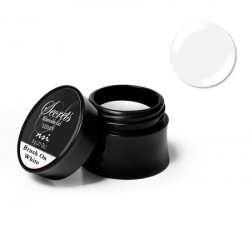 Using the point of your brush, apply Tech-Gel Colour Brush On White to create smile line. Sweep round smile line to define. Cure in the Dual Cure Lamp, LED for 60 seconds or UV for 2 minutes. Starting in Zone 3, apply Secrets Removable Builder Clear to encapsulate entire nail. Cure in the Dual Cure Lamp, LED for 60 seconds or UV for 2 minutes. Ensure proper apex placement and add a small amount of gel to the upper arch if necessary, and cure again. 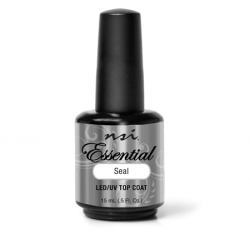 Coat the entire surface of the nail with a layer of Essential Seal. Cure in the Dual Cure Lamp, LED for 30 seconds or UV for 2 minutes. 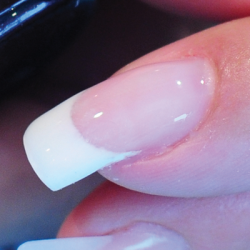 Using a lint-free Nail Wipe, remove tacky layer with Cleanse. 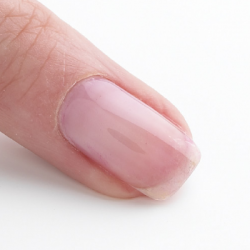 Apply Nurture Oil to cuticle area and massage.